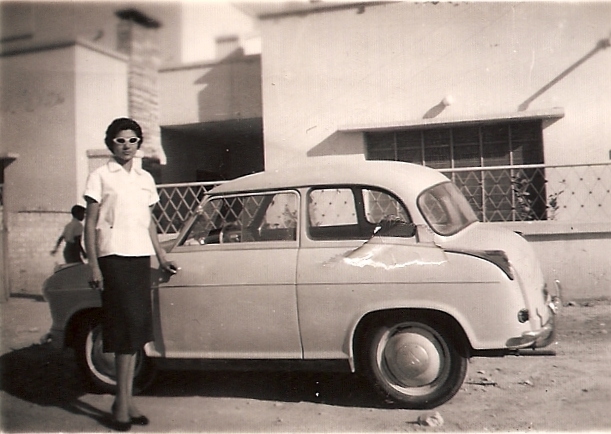 Moi, at 16 with my first car, high heels and Hollywood sunglasses in front of our house! The blemish by the way is the old photo not the car! The car was spotless! You can see the dirt road. Our house was away from the center of town were the roads were not yet paved. You can see my little brother Zuzu behind me entering the gate unimpressed by my car!